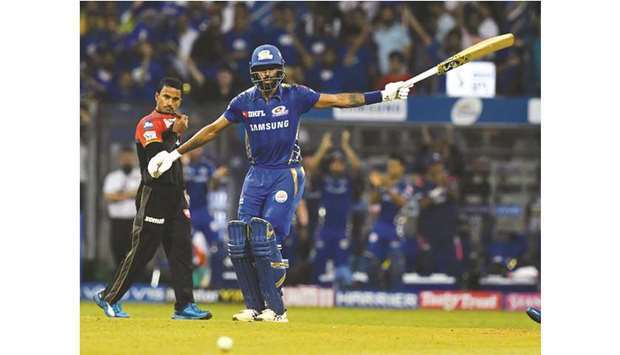 Hardik Pandya’s (37 unbeaten off 16) quickfire cameo down the order handed Royal Challengers Bangalore their seventh defeat this season as Mumbai Indians won their Indian Premier League (IPL) tie at the Wankhede Stadium yesterday by five wickets. 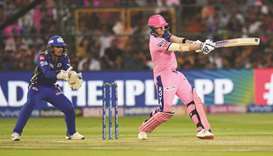 Chasing a competitive 172 for victory, Rohit Sharma (28 off 19) and Quinton de Kock gave a perfect start to Mumbai’s innings, taking them to 52 for no loss in the initial five overs. 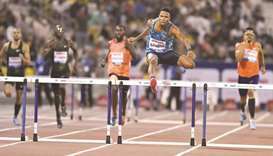 Moeen Ali was the first to strike as his off-break delivery clattered Sharma’s stumps, leaving Mumbai at 70/1 in the eighth over.